Bolotov & Partners LLP is a dynamic and rapidly expanding Intellectual Property Law Firm operating in Kazakhstan & Central Asia since 1994 with the office in Almaty, Kazakhstan. We are focused solely on IP matters. It means that we are experts in IP and can achieve results quickly, confidently and in a cost-effective manner. Our team of reliable lawyers, trademark and patent attorneys handle IP matters for clients in over a dozen industries, including consumer products, telecommunications, transportation, energy, financial services and manufacturing. They have a substantial track-record in advising on local and international transactions, representing clients before Kazakhstani courts of all levels, as well as working with various state agencies in the region. Our IP practice covers all aspects of searches for and registrations of trademarks, patents and copyrights in Kazakhstan, other Central Asian Republics of the CIS and around the world. We assist in protection and enforcement of trademark rights, preparation of assignment and license agreements, franchising, matters related to copyright, know-how, inventions and utility models, selection achievements, patents and domain name related issues. All staff is highly-qualified professionals with some of them of more than 25 years' work experience, fluent in English and Russian, many of them graduated from U.S. and British law schools. The firm also hires specialists having good command of Kazakh. 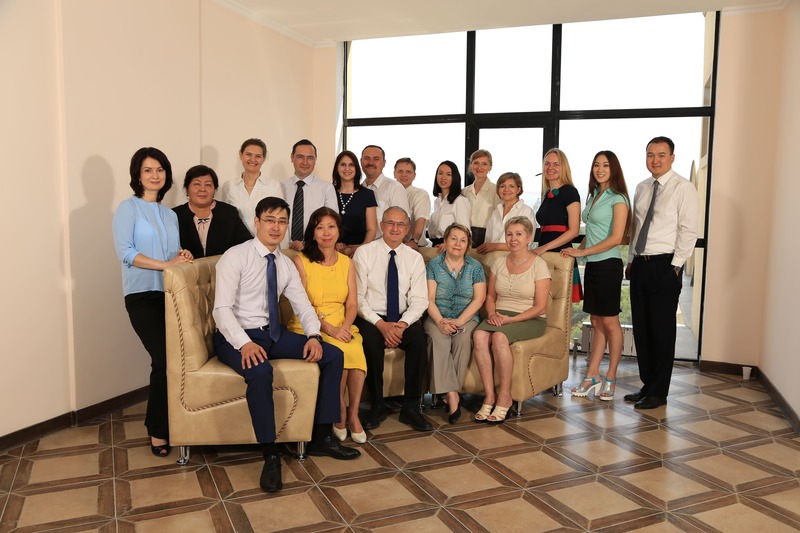 In the beginning of 2014 we established a BMF Research LLP (www.bmfresearch.kz) which is now an independent firm. The main activity of BMF Research is tracking and monitoring of intellectual property rights infringements and searching for counterfeit products and counterfeiters in Kazakhstan. BMF Research is the founder of the www.kontrafakt.kz project, which is targeted mainly on the fight against counterfeits in Kazakhstan and increase of awareness of population of IP rights protection. We believe that Bolotov & Partners can do IP law advice understandable and easily accessible to our clients. The values we hold reflect expectations we have for ourselves and for the work we do. Understanding the client is as important as understanding the law. We listen to our clients and try to understand their business, needs, wishes and expectations. We do our best to assist our clients to achieve their goals, no matter how many obstacles they face and to achieve the best possible outcome. It enables us to render timely and cost effective assistance to our clients. We strive to provide legal and other services on every order or assignment, for every client on the highest level of service. We bring together knowledge, experience and energy of our firm. We are proud of our firm, its reputation and conscious of how it has enhanced all of our lives. Our firm is a place where we enjoy our work. We are proud of creating welcoming environment in which we all can grow and succeed. We encourage and support everyone and value the new perspectives, creative ideas, connections and outcome of bringing together people with different backgrounds. We encourage you to read on more about our team and firm, and we look forward to hearing from you and cooperating with you.